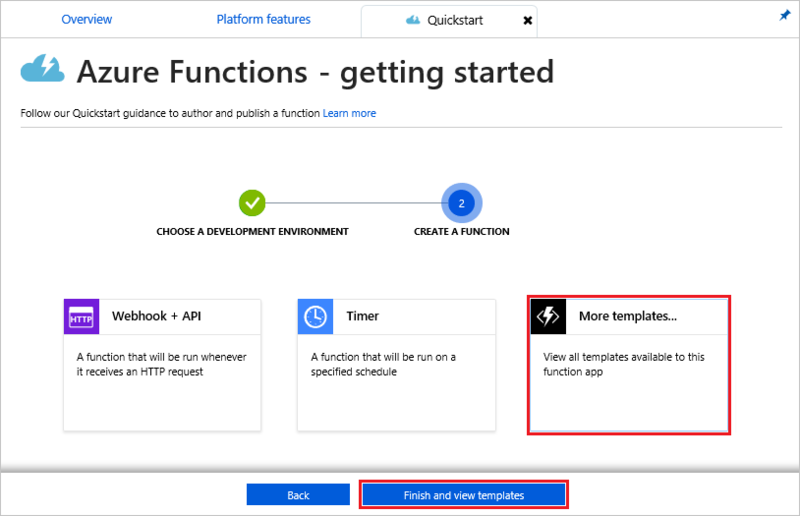 The Durable Functions extension for Azure Functions is provided in the NuGet package Microsoft.Azure.WebJobs.Extensions.DurableTask. This extension must be installed in your function app. 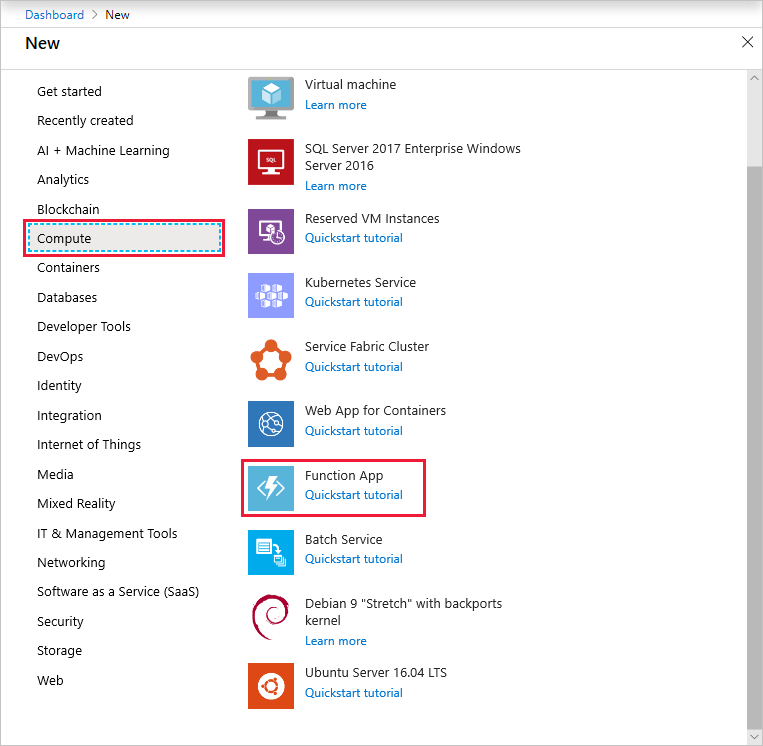 This article shows how to install this package so that you can develop durable functions in the Azure portal. If you are developing durable functions in C#, you should instead consider Visual Studio 2017 development. 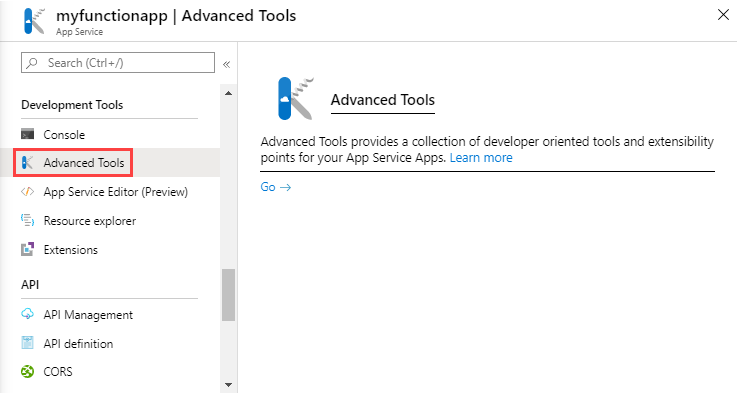 Select your function app's name, followed by Platform Features, then Advanced tools (Kudu). Inside the Kudu console, select Debug console then CMD. Once your package.json is uploaded, run the npm install command from the Kudu Remote Execution Console. In the search field, type durable and then choose the Durable Functions HTTP starter template. 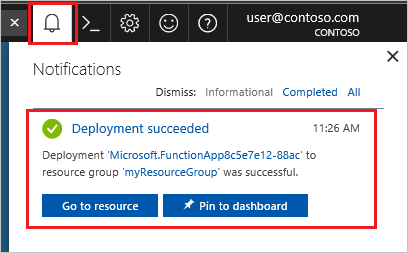 When prompted, select Install to install the Azure DurableTask extension any dependencies in the function app. You only need to install the extension once for a give function app. After installation succeeds, select Continue. After the installation completes, name the new function HttpStart and choose Create. The function created is used to start the orchestration. Create another function in the function app, this time by using the Durable Functions Orchestrator template. Name your new orchestration function HelloSequence. Create a third function named Hello by using the Durable Functions Activity template. Go back to the HttpStart function, choose </> Get function URL and Copy the URL. You use this URL to start the HelloSequence function. 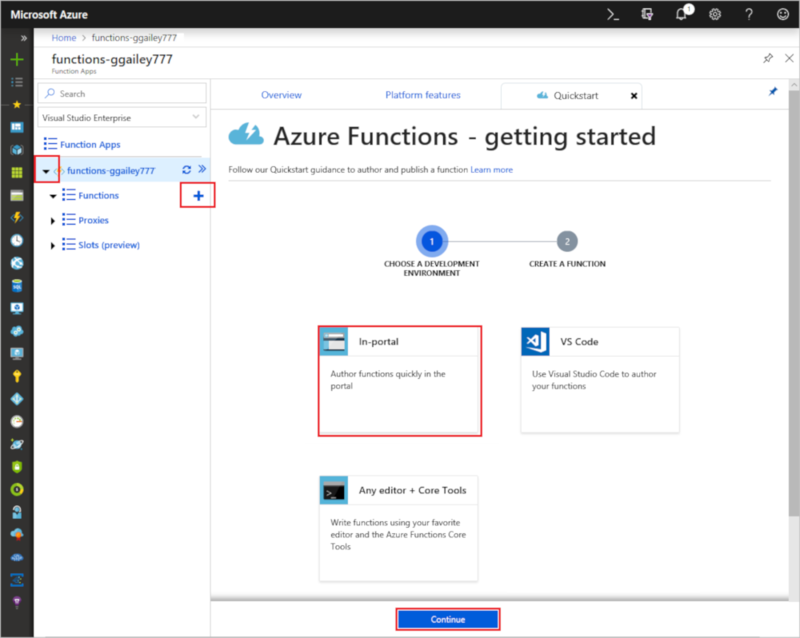 Your first durable function is now up and running in Azure.